After tackling Smash Books for the first time last year, I decided to make a couple of changes to how I'm organizing them this year. I was really pleased overall with our implementation of these (you can read about my experiences here and here and here), but there were a couple of things I wanted to do to make the Smash Book even more organized. Here are the three changes I've made (so far) this year. The little tabs will make it easier to flip through the sections of the book. 2. A references section - I'm going to use this for the non-skills material, such as the syllabus, the student account log, the learning styles and multiple intelligences quizzes, etc. These are things I want the students to keep and reference back to, but I think it might be easier to keep them separate this year. 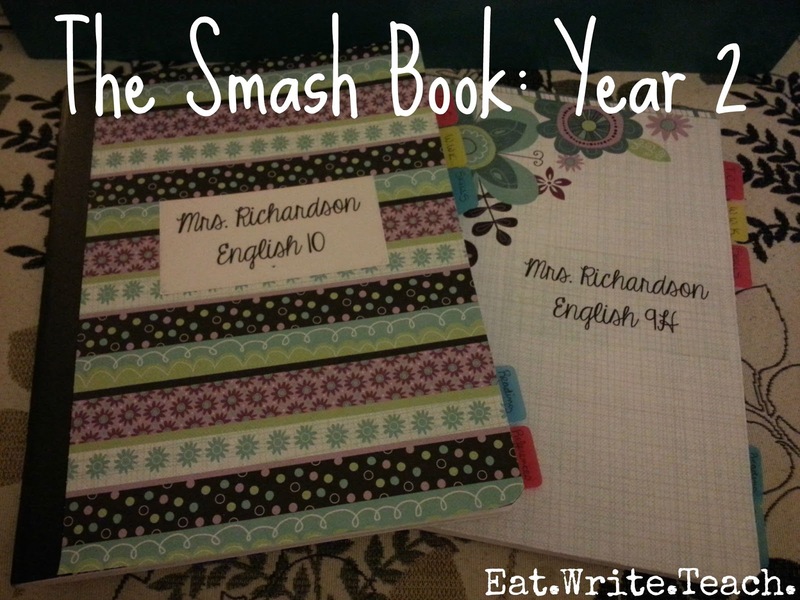 Each year I use a Prezi to walk students through setting up the Smash Book, so I thought I'd share that with you. It's public and editable to your needs, if that's something that interests you. Just swap out your own pictures and instructions, if you like. You can find my Smash Book Set-Up Prezi (with a more detailed look at the guts of my Smash Book) here.